I unfortunately missed the Pretty Things Beer and Ale Project fourth anniversary bash last Saturday at Precinct in Somerville, Mass.—I was busy with Cantillon Zwanze Day and then I helped my sister decorate her Christmas tree. So I was glad to see Boston.com post some photos from the fête. Pretty Things is a Somerville-based brewery that makes some fantastic beer, and it’s doing a lot of good things for the Boston beer scene. I couldn’t be more pleased to see it celebrating four years of hard work. 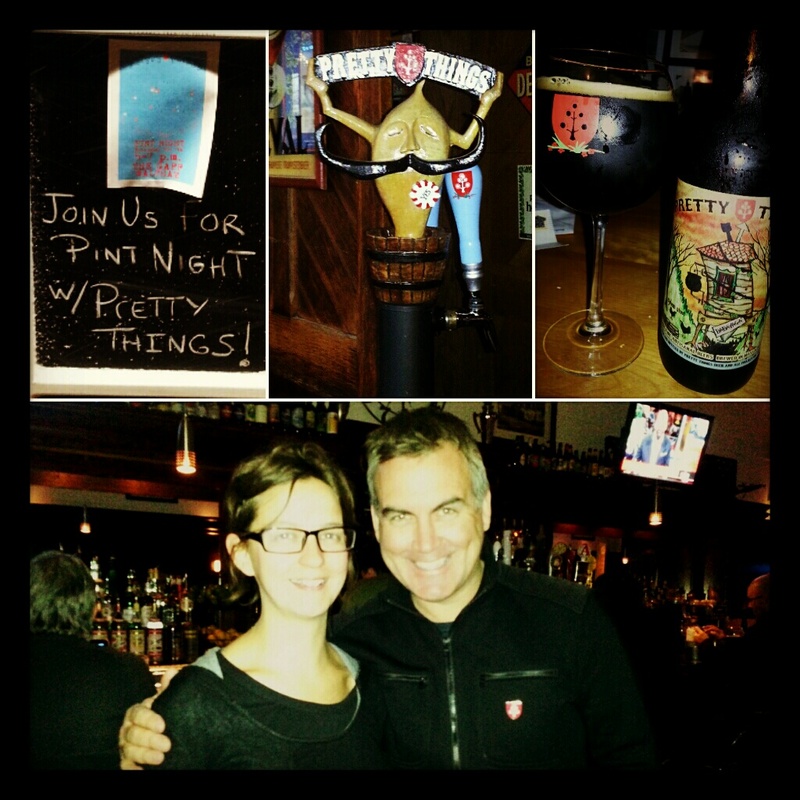 I sat down with Pretty Things’ head brewing duo last month; read more about the brewery here. And check out all of the photos from the Pretty Things party on Boston.com. Pretty Things is a small, Somerville-Massachusetts based brewery that’s making waves on the New England craft beer scene thanks to some great beers, unique bottle art and a lots of grassroots marketing. (I sat down for a chat with Pretty Things brewers Dann and Martha Paquette a couple of weeks ago.) 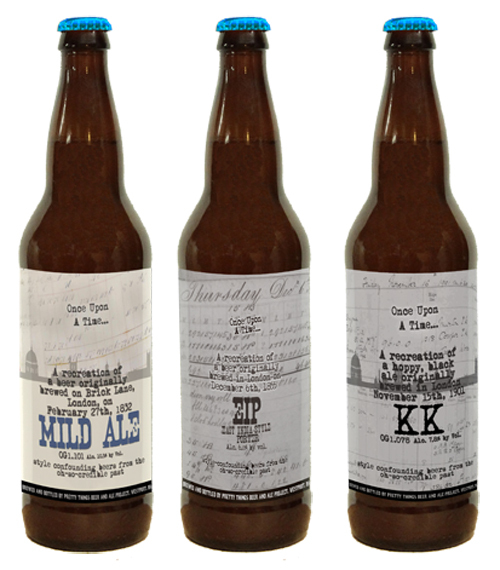 Pretty Things’ Once Upon a Time Old Beers are recreations of lost styles of beer brewed in the 1800s and early 1900s. “Our historical projects begin by working with brewing historians such as our present collaborator: Ron Pattinson, a resident of Amsterdam. Ron provides us with brewsheets and insight from breweries often long shuttered. These sheets are the actual records written in the brewer’s hand at the moment he was brewing a batch of beer. This allows us to reach through the mists of time and pick up exactly where they left off. “We do not interpret or attempt to commercialize these beers in any manner. In fact you have our pledge that if history presents us with a less-than-desirable beer, you will taste this beer as it was. That’s our unique commitment to you. The initiative is not unlike Dogfish Head’s Ancient Ales effort, but Pretty Things focuses on a very different era of brewing. It’s unclear whether or not the additional three OUAT beers Pretty Things plans to pour on December 9 will also be new or if they’re previously released Old Beers. I’ve had a number of the OUAT beers, and they’re all interesting, particularly the “X Ales” from 1838 and 1945, which were based on recipes for similar English mild ales made almost a hundred years apart. If you’re in the Boston area on December 9, swing by Deep Ellum and get your Old Beer on. Learn more about the Pretty Things Beer and Ale Project on PrettyThingsBeerToday.com.